Streaming services are still fairly new, and Netflix is far and away the most popular option. However, recently Amazon has started to make serious strides in terms of creating original TV programs. Stuff like The Man in the High Castle, Mad Dogs and Transparent have put Amazon Prime on the map in terms of TV content, and Amazon nabbed former Top Gear stars Jeremy Clarkson, Richard Hammond and James May to produce a new show a few months ago. Apparently, Netflix is a little flummoxed about Amazon’s success, or at least the subscription streaming service is looking to compete. This week, we learned Netflix is in talks to syndicate the BBC’s new version of Top Gear. The BBC has been busy getting Top Gear together over the last several months. Recently, we finally learned the "Magnificent Seven" who were cast to headline the new show, including the already-known Chris Evans and Episodes actor Matt LeBlanc. With the new BBC show getting ready to premiere, the network wants to sell the rights to Top Gear internationally, and The Guardian reports that Netflix is interested in signing on. The show would not air on the BBC and internationally simultaneously; streaming episodes would premiere some time later. Negotiations are still in the early stages at this point, but theoretically Netflix would be a good fit to purchase, since the streaming company already has some episodes of Top Gear available for streaming. 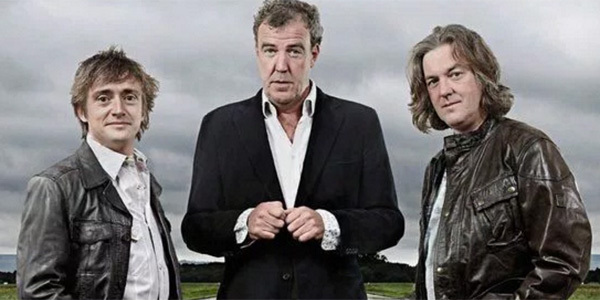 In addition, we already know that Netflix was tentatively interested when Jeremy Clarkson, Richard Hammond and James May were shopping a car show some months ago. That deal fell through, and Amazon swooped in to pick the popular car show hosts up. Interestingly, there’s already been a bit of a rivalry set up between the two car shows. A lot of people would argue that Top Gear was so well-liked only because Jeremy Clarkson and his two co-hosts were beloved by the fans. However, others would argue that it is the Top Gear bits—including stuff with the Stig—that make Top Gear the top car show, and Chris Evans and the BBC have retained the rights to those segments moving forward. If Netflix scoops Top Gear up, that should only serve to deepen the rivalry between the two shows (and the two streaming services). Netflix and the BBC might have the edge in terms of getting the show out to higher numbers of people; then again, we’d never know that, because Netflix is unwilling to reveal its ratings. In addition, if Clarkson and co.’s new show is the better show, does it really matter if the audience is smaller? If it was on network TV, the answer would be yes. But thanks to streaming services not having to rely on advertising dollars, sometimes bragging rights are enough. It’s likely that Top Gear will hit the air before Amazon’s show does. In fact, we don’t even know the name of the Amazon show, yet. We’ll let you know as soon as the BBC version of Top Gear gets a premiere date (at least in the UK), though. In the meantime, you can check out what else the networks have coming up with our midseason TV premiere schedule.